Chris Schwarz has written about it several times before and I agree that the best education in furniture design you can get is to look at furniture. Lots and lots of it. Books and books, web page after web page, antique gallery and museum exhibit, old stuff and new stuff, it seems I never get tired of looking and studying. A few weeks ago I took my family for an overnight trip up to the Twin Cities to visit The Minneapolis Institute Of Art. A place I've not visited in more than 20 years. 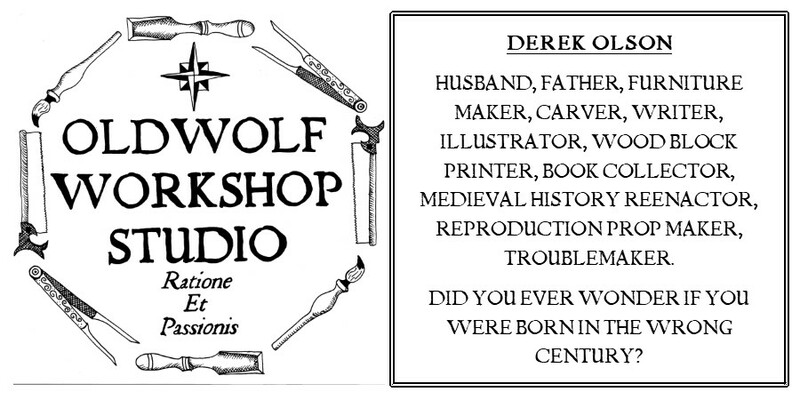 I'd found out, almost too late, about a curated exhibit on the life and influence of Martin Luther. Though I was baptized and raised in the Lutheran church I made plans to attend once I heard there was several pieces of furniture from the 16th century as part of the multi-room display. Considering the book I am writing (and re-writing) on medieval furniture I felt a moral obligation to travel and see these pieces, There is a lot of time between 13th c. France and 16th c. Germany but just having a chance to view the oldest pieces I've been able to see in person was too much to pass up. The display from the apartment where Martin Luther translated the bible from Latin to German. I love subversives of all shapes, sizes, and flavors. A Kastentisch, an interesting piece that combines a table with a desk. window is wider than the seat. Still from the same time period and the same house. I really, really like this piece and wish I had an excuse to build one. There were other things to see; great paintings and art, but importantly, the period furniture rooms and a surprise. I have a big thing for Charles Rholf's furniture and this fall front desk is my favorite. To get to see it in person was so cool. For some I could equate the experience of having your favorite celebrity or pro athlete sit down at the restaurant table next to yours. Still, the purpose of this trip, and of my time spent looking at many other pieces of furniture is to inform my eyes and aesthetic. To get a grasp on what makes a piece successful and what can make it mediocre. To be able to make those decisions myself over having to listen to someone else. (It also helps in critiquing your own work) Let me explain what I saw cruising through the internet this morning. 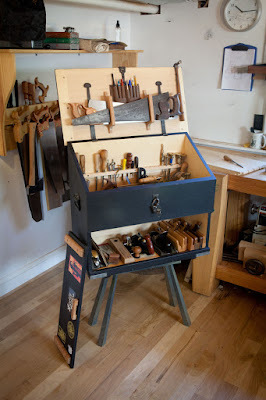 Jack Plane's website Pegs and 'Tails is one of the must read blogs for woodworkers. The insights and workmanship displayed there are on a level I aspire to. One of my favorite things done there is a series called "Picture This," where an unique piece of period furniture is focused on and discussed. 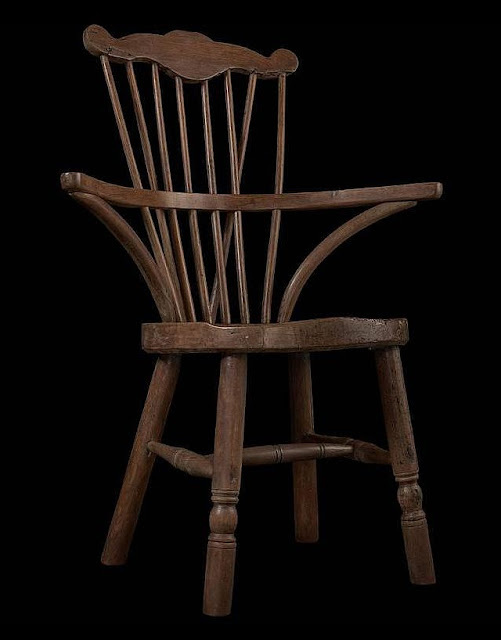 This morning I read the installment "Picture This CII" about a whimsically unique windsor chair. From the seat up I love most everything about this work. The broad bent mid rail, The crest at the top. The way the rungs flow. Yes I can see some places I'd like to refine, but mostly it's close to perfect. The seat is circular, which I can come around to, but the legs of the chair is where this piece runs off the rails. To my eye they are heavy and the splay is not lively enough. I like the beads turned below the rails, but I wonder if the lack of rails might make this more successful and align the dramatic scene above the seat with the foundation below. There's probably only one way to really find out. . . add another one to my bucket list. I like this chair as well. Having built a Moravian plank chair and hoping one day to attempt a Windsor, I really like chairs and can't stop looking at them. Tables are not bad either. Great post!